One of the biggest misconceptions about sustainable design is that it is insanely expensive and complicated. That is not the case. Sometimes a difference in a window, light fixture or water faucet can vary only a few dollars. There are many small tweaks a project team can make that can enhance the health of building inhabitants and value of your commercial or multifamily assets. 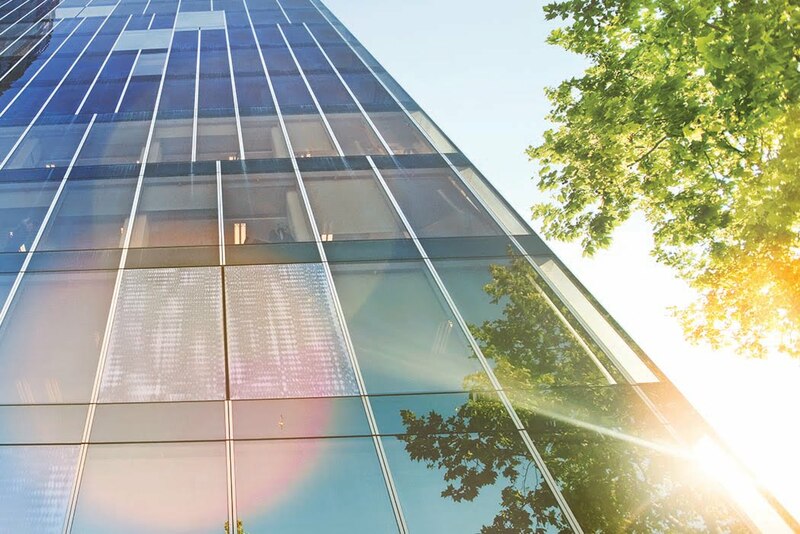 Here, we’ll discuss five tips you can begin implementing today that will help you save energy and positively impact operating costs. Older buildings tend to have lighting that are an energy drain and drive up power bills. If this is the case for you, substitute your current lighting for LED lights or CFLs (compact fluorescent lights). Both are energy-saving light options that can make a big difference in your operating costs. Sometimes people underestimate the impact of changing a filter. By developing a maintenance plan and regularly servicing your HVAC, you can be sure building systems are working at optimal efficiency. Take a look around your facility. Where can you cut down on water consumption? By installing water conserving faucets and toilets in your building, you will drastically lower your water utility bill. Have you ever walked into a room and the light suddenly comes on? Those are called occupancy sensors. By installing these, there is no need to rely on people to turn off the lights. As an alternative, you can also use light timers. Take a look around your building and see if you have any space around your fixtures, plumbing and ducts. If you do, air may seeping in or seeping out. That means less temperature control in your building and more money coming out of your pockets. Remember, going green does not have to mean tons of green. You can make small adjustments to your building that can greatly enhance building performance while increasing the value of your asset. If you would like to discuss more cost saving and operational strategies or how you can employ our green building consulting services, feel free to contact one of our green building experts, Randall Dragon LEED AP BD +C at 770.312.5437 or [email protected].